Federal Poly Ede School Fees Schedule for 2018/2019 Session Released. 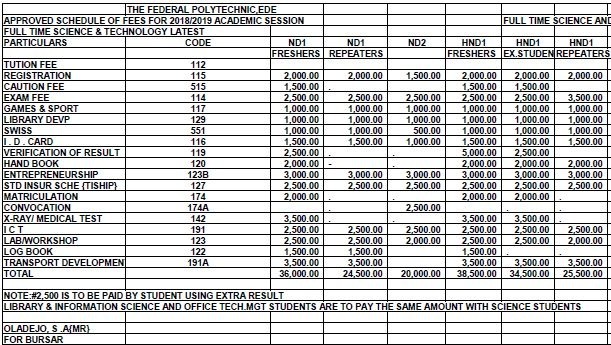 The Fed Poly Ede school fees 2017/ 2018 is out. The Federal Polytechnic, Ede Management has published the school fees payment schedule for students of the institution for 2018/2019 Academic Session.